You are here: Home | Exhibitor search | LLeal S.A.
LLEAL is a family owned business founded in Barcelona in 1874. Since the beginning, we have been committed to develop the most advanced technologies within the process industry. The aim of our company is to be an international reference in process equipment and installations for the pharmaceutical, cosmetic, food, paint, ceramic and chemical industries. 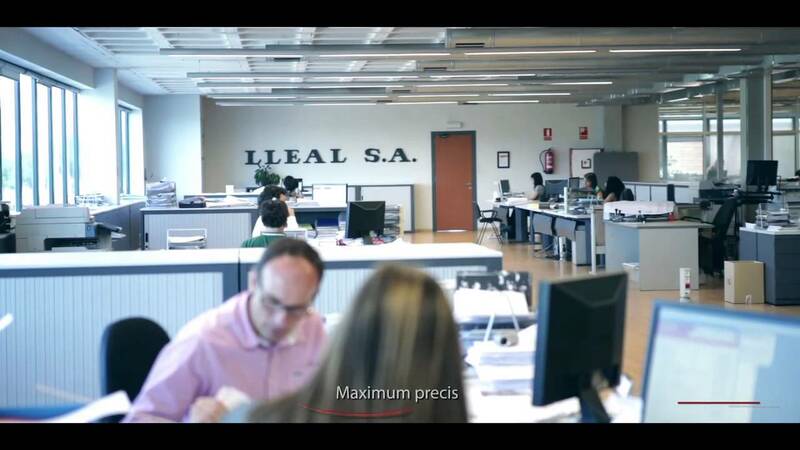 In Lleal we combine experience, youth, commitment, performance and innovation, values that have allowed us to adapt to the constant changing markets. In addition, we are leaders in investigation and development in the design and manufacturing of new and efficient process equipment for: mixing, grinding, drying, granulation and emulsion among others. The experts at our sales department will guide you through the different process possibilities and solutions to your needs fulfilling always the industry top requirements. Lleal’s MGR granulators have been developed to optimize mixing, granulation and drying processes for powders in a clean medium, without any handling, and in one single equipment. Consequently, the TRI-CHOP mixes, humidifies, granulates and dries in one single operation. This mixer is equipped with a combine double stirring system to carry out the mixing and granulating operations. These clean designed stirrers supported on the upper cover have no inner screws nor possible points of contamination and easy to clean. The mixing operation is carried out by means of a three – blade stirrer and a chopper-cutter as well for correct granulation. The cover is totally air-tight in order to ensure a complete vacuum and is additionally reinforced by the pressure produced by the hydraulic system of the vessel. In addition, the cover is equipped with liquid dossing nozzles and a sight glass with light. If the process requires so, mixing vessel can have a double jacket for heating and on the bottom part fluidization nozzles for hot air to improve drying process. TRIP-CHOP fully complies with GMP, FDA and applicable standards. Our manufacturing portfolio goes from 1 L to 1.200 L of total capacity. Lleal’s Fluid Bed Dryers are versatile equipment that allows to perform up to three processes depending on the accessories used: drying, encapsulation and granulation. Gas-solid fluidization is the levitation of a bed of solid particles by a gas whose main features are that the temperature at all points of the bed is constant and the heat transmission is highly efficient. Both features make the fluid bed dryer an excellent equipment for increasing particle size and subsequent, the reduction of moisture or volatile particles. The operating mode of the equipment, with a large flow of dry air in circulation, allows drying at low temperatures in short time unachievable for the vacuum drying process. The encapsulation and granulation are carried out by the inflow of liquid through a spray nozzle. In the encapsulation the coating enters from the bottom of the reactor and an inner tube is used, whereas in the granulation the binder enters from the top of the reactor. In both cases, when the liquid addition is completed, the process is finished as the drying is simultaneous with the additive inlet.. This feature allows to realize the encapsulation and the granulation in a times much smaller than its traditional counterparts. The fluid bed manufacture by Lleal incorporates new control systems that allow to manipulate all parameters involved in the three processes and accurately determining the end of the process, avoiding overexposure. Our manufacturing portfolio goes from 1-6 kg L to 400-800 kg of production. The Micronizing Mill is the ideal machine for fine and ultra-fine grinding of a range of products, from soft to semi hard. It consists of a crushing disc and a separator dish. The operation process of the mill is based on the rupture of particles by impacting them onto the rotating grinding surfaces, with hammers. Its grinding disc and separator are driven independently and are fitted with an adjuster of the speed and once for the air flow which allows regulation of the particle size obtained according to requirements. This mill succeeds in processing different materials depending on the requirements of the final size, reaching fineness of up to 10 µm. In addition, this mill maintains the temperature increase at very low levels, thereby allowing certain pharmaceutical intermediates with low fusion points to be processed. The biconical rotatory vacuum driers are specially designed to dry solid products with not a high humidity reaching almost a total dry. They develop a mix and homogenization of solids (in powder or granulated form with specific weights), gently and without shearing. Its design is characterized by a body made up of two reversed cones, welded to a central cylinder and two shafts. Turning at a specific speed, creates a rotation of the product made of soft slip with soft crosses changing from circular to elliptical movement. A vacuum system and a double outer jacket totally isolated, which combined with the rotary mechanism, allow the recirculation of liquids and thus ensures the drying of the product being treated. These type of driers are commonly used at the pharmaceutical industry due to its precision and the mix of two process in one equipment. There is the possibility to add liquids in a pulverized way, through the intensifier bar, that in this case would be hollow. It can incorporate ceramic spray nozzle distributing liquid in a homogeneous way; or though the bar disks avoiding dirty zones around the nozzles. The mixing time range from 5 to 20 minutes, depending on the complexity of the mixing or the liquid injection. Our manufacturing portfolio goes from 30 L to 4,200 L of total capacity, with a 65% of useful capacity.